Home/Diamond Industry, Know Your Diamond, Sell Diamonds/What Is Your Diamond Worth? While we all know it’s impossible to put a price tag on the emotional value of a diamond, you may be surprised to learn that assigning tangible worth to the gem can be tricky too. 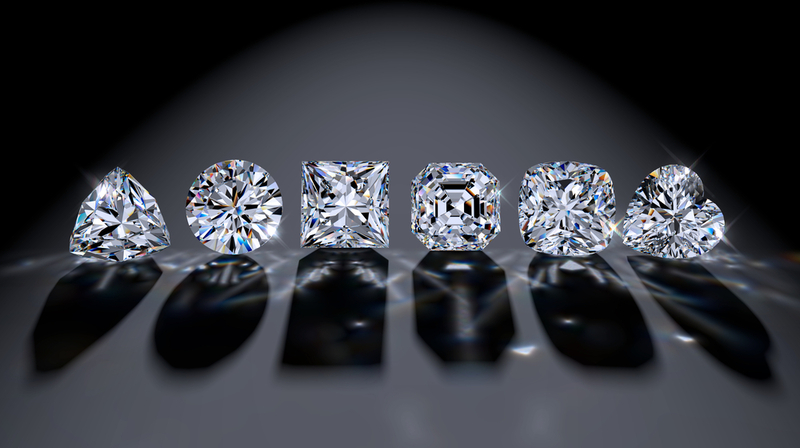 Calculating a diamond’s value is a complex process that can easily be done incorrectly. If this happens, you most likely will be the one negatively impacted by the error. Therefore, when it comes to selling a diamond, it’s critical you put as much thought into selling as the original purchaser put into buying. It’s crucial to select a jeweler with vast experience and education in buying diamonds – jewelers like MJ Gabel. Additionally, MJ Gabel’s elite team of world-class diamond experts has a vast network in place to ensure you receive the maximum amount of money possible for your diamond. 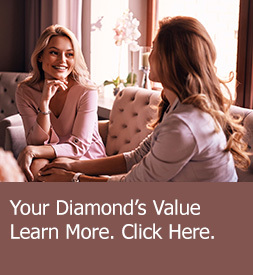 They’ve simplified a potentially anxiety-ridden process to make sure you get exactly what you’re entitled to for your diamond. While the MJ Gabel team will handle the details, you should absolutely know the facts about determining a diamond’s worth. Certificate: A diamond certificate is issued by an accredited, independent, gemological laboratory like the Gemological Institute of America (GIA). It includes the gemstone’s carat weight and measurements and grades for the diamond’s cut, color, and clarity. Certificates are not all created equally; some come from gemological laboratories that are more reliable and/or respected than others. Your ring’s initial estimate will be affected by its certification (or lack of) and quality of the certification. The 4Cs: A diamond’s 4Cs are color, clarity, cut, and carat weight. Together, the 4Cs are the universal method for evaluating the quality of a diamond. They also make up the foundation for determining the diamond’s value. In terms of carat weight, at MJ Gabel we work best with diamonds that are over 0.50ct (for round diamonds) and over 0.75ct for fancy shapes. Condition: While diamonds are the hardest stones on earth, they’re not immune to cracking, chipping, and other kinds of physical damage. Unfortunately, if your diamond is chipped, has abrasions or other issues affecting its condition, its value will be impacted. Price at initial purchase: When selling your diamond, the amount of money you get will most likely not be what was paid at initial purchase. One factor impacting this is whether any special promotions or discounts were applied at time of initial purchase. Market conditions: Diamond market conditions are determined by a number of factors, including diamond demand and sales, diamond engagement ring trends, ethical and environmental trends and more. The diamond market conditions today may not be the same as they were when the diamond you’re selling was initially purchased. Therefore, the value of your diamond may be affected positively or negatively. In closing, if your stone is GIA certified, has an “Excellent” cut grade and is in pristine condition, it’s likely to receive a premium valuation. However, MJ Gabel also buys non-certified rings, and we are one of the few companies that buy all diamonds regardless of color, clarity, or condition. If you have any other questions, don’t hesitate to reach out to us. You can always send us an email to info@mjgabel.com or call us at 585-598-1090.